A hailstorm that pounded down on a Subaru dealership in Plano, Texas, barely lasted 30 minutes, but left behind a trail of smashed windows, dented hoods and millions of dollars’ worth of claims for an insurer to cough up. Damage to thousands of cars in dealership lots across Texas, Nebraska, Oklahoma and other states are just some of the weather-related losses that have been hitting U.S. property insurers particularly hard in the first half of this year. 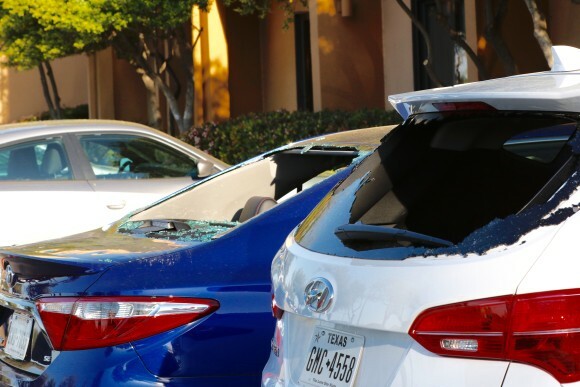 “It got everything on the car – roofs, sides, mirrors and back glasses,” said Ronnie Cohen, new car director of Subaru of Plano, describing the trail of destruction by golf-ball-sized hail that inflicted at least $4 million in damage to 311 cars plus $500,000 to the dealership building in March. Weather-related losses loom over the insurance industry, which writes policies for everything from individual homes and cars to large commercial real estate complexes. The profit damage is becoming evident in second-quarter results. On Thursday, insurer The Travelers Companies Inc. reported a 10.4 percent drop in second quarter profit, hurt by higher catastrophe losses. Those losses, net of reinsurance, rose to $403 million in the second quarter, from $333 million a year earlier, mainly due to wind and hail storms across the United States, Travelers said. Higher investment returns helped offset some of the pain. Analysts expect similar losses to weigh on American International Group Inc., Allstate Corp., Hartford Financial Services Group Inc. and Arch Capital Group Ltd. when they announce results in the coming weeks. All told, U.S. insurers paid out $15.5 billion to cover claims related to severe storms that produced conditions such as hail and fierce winds during the first half of 2017, the second-costliest on record for such damage, according to Aon PLC’s reinsurance broker, Aon Benfield. The bad weather shows no signs of abating. A steady stream of storm systems that trigger hail and fierce winds has traveled out of the Rocky Mountains and into parts of the central and eastern United States, said Steve Bowen, an Aon Benfield meteorologist. A warmer-than-usual Gulf of Mexico has also helped fuel storms. Above average sea-surface temperatures are among factors that could set off a hyper-active Atlantic hurricane season later this year, meteorologists said. They do not predict whether any will make landfall in the United States. Weather-related losses and risks are, for the most part, already priced into insurers’ stocks, said Sandler O’Neill analyst Paul Newsome. Weather does not typically prompt insurers to hike premiums, except for unusual situations, such as after Hurricane Andrew in 1992 or Hurricane Katrina in 2005, he said. Some insurers have turned to reinsurers to protect profits. For instance, Ally Financial Inc., a bank that caters to the auto industry, put reinsurance in place midway through the first quarter after strong hail storms ravaged dealerships it insures. Nonetheless, Ally sustained $42 million in weather-related losses during the first quarter. 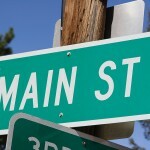 Weather problems have continued into the second quarter, Chief Executive Officer Jeffrey Brown told Reuters. Prestige Imports in Lakewood, Colorado, which sells high-end brands like Porsche and Audi, was battered by hail on May 8. It is offering deals on a “huge inventory” of damaged vehicles, according to its website. At the Plano Subaru, mechanics repaired many hail-damaged cars, which have passed safety inspections and now sell at least $8,000 to $10,000 below the sticker price, Cohen said. The dealership was glad to have secured bad weather insurance before the storms, he said. It still has to pay a $240,000 deductible, but much less than the full $4 million tab. The hailstorm “barely lasted 30 minutes”. 1 minute of baseball sized hail will do this amount of damage, 30 minutes and the cars would be total losses, not just damaged. What a ridiculous statement. So you had one of those Cash for Clunker replacement Subaru's or is it a Prius?